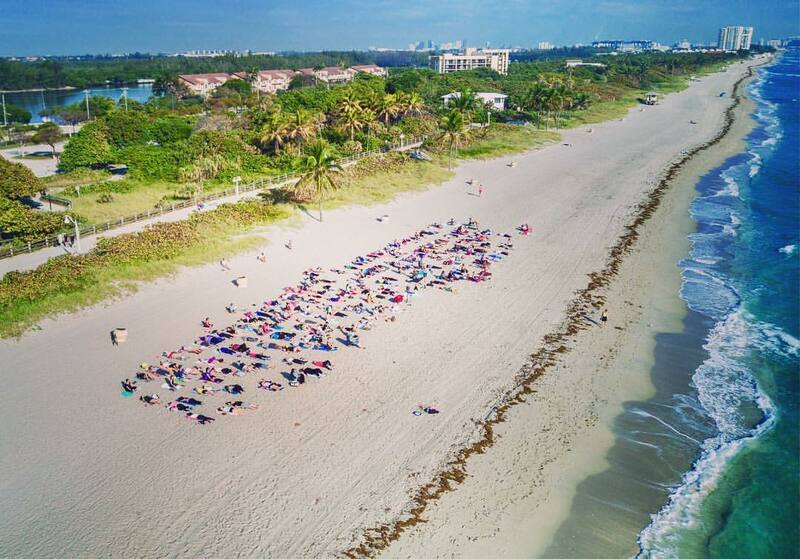 Most Sunday mornings on Hollywood Beach at 8:30 am, hundreds of like-minded folks and many “unlikely meditators” gather for a FREE 45-minute guided meditation class and a great playlist – from Pink Floyd to Lou Reed and Bob Marley. Whether you are a first-time meditator or a long-time practitioner, when we all gather on the sand, it’s irrelevant. We all come together to practice scientifically-proven relaxation and mindfulness techniques in a neutral, non-denominational setting. Don’t worry, there’s no “hokey stuff” involved. Children of all ages are welcome, as long as they can sit quietly and relatively still during practice. Bring a towel to sit on, a bottle of water and wear a hat. Parking is available for $10 at the North Beach Park gatehouse lot, just east of A1A, and metered parking is available for $6 at the lot across the street, west of A1A, as well as all along the side streets of Hollywood and Dania Beach. Please arrive on time and sit within the coned-off area.